Police in Los Angeles are searching for two men who were caught on video brutally beating a homeless man in Venice Beach, Calif.
James Karhu, a resident from a nearby apartment, was able to film the violent assault Friday from above the street through his window while neighbors called police. The Los Angeles Police Department says it appears the homeless man had been sleeping on the street when the two men began repeatedly hitting him for no reason, KTLA-TV reports. “My heart was beating out of my chest,” Karhu told NBC Los Angeles. 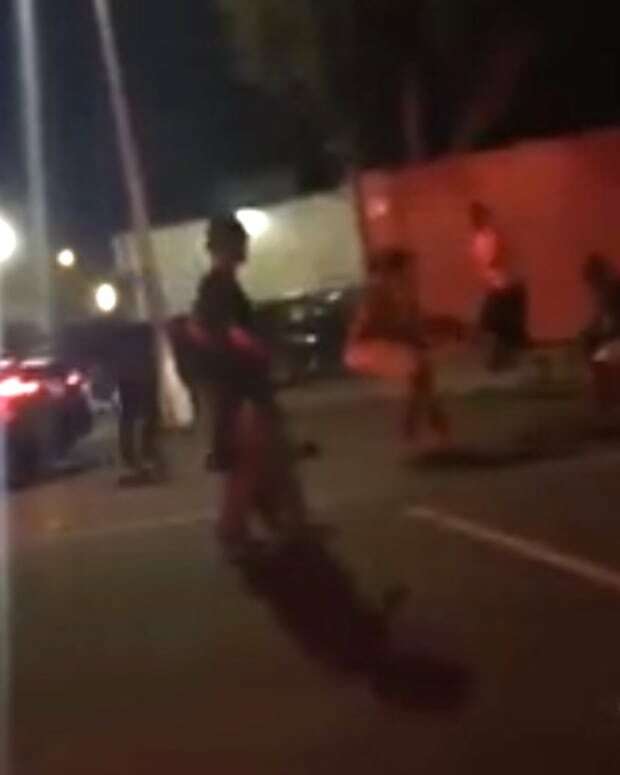 In the video, the two men can be seen beating the man with what looks like metal curtain rods and even a bike. One of the attackers eventually leaves, but the other man stays to continue bashing the man’s body and head with an aluminum folding chair as the victim tries to defend himself. "All I heard was the main guy in white saying, &apos;Get out of here, get out of Venice Beach. You don&apos;t belong in Venice Beach,&apos;" said Karhu. "I was hoping with my filming we&apos;d be able to catch this guy." It was not immediately clear what prompted the attack. 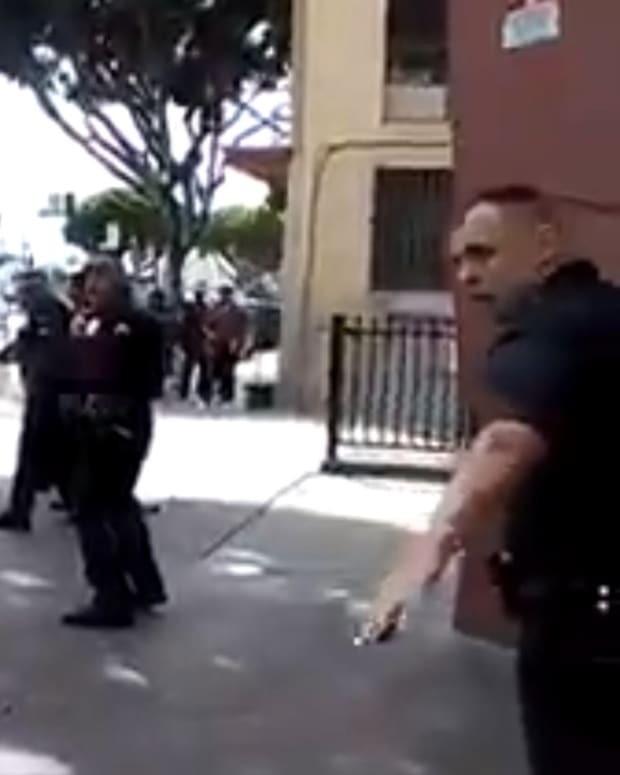 “It doesn’t appear to be provoked, and this is still in the early stages of the investigation,” LAPD Capt. Victor Davalos told the Los Angeles Times. The homeless man was reportedly treated at a nearby hospital and released. By the time officers arrived at the scene, the two suspects had fled. The LAPD is currently searching for them.